SeaWorld Orlando’s newest thrill experience, Kraken Unleashed, will officially open on June 16. 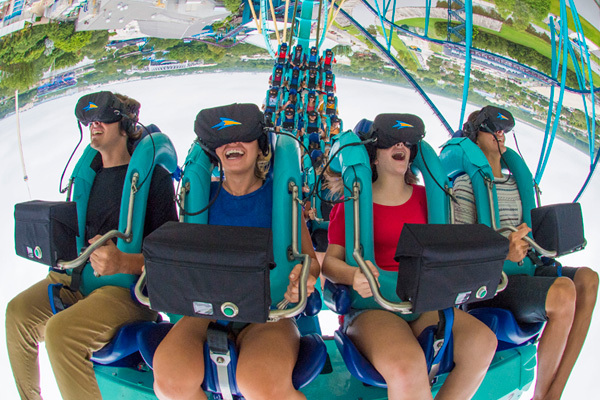 Adding virtual reality to one of SeaWorld’s original roller coasters, Kraken Unleashed will take riders deep underwater as they face gigantic sea creatures including the mighty Kraken. Using fully integrated headsets, the ride now has an added thrill actor making it the perfect ride for the start of your summer vacation. Also coming to the park this summer is the addition of Electric Ocean, an all-new nighttime celebration full of light, fun and even a live DJ. Your night will also now culminate in a fantastic nightly firework and laser display, which will cap your day at the park. To experience all the newest additions to the park, be sure to visit with discount tickets to SeaWorld Orlando right here on BestofOrlando.com!